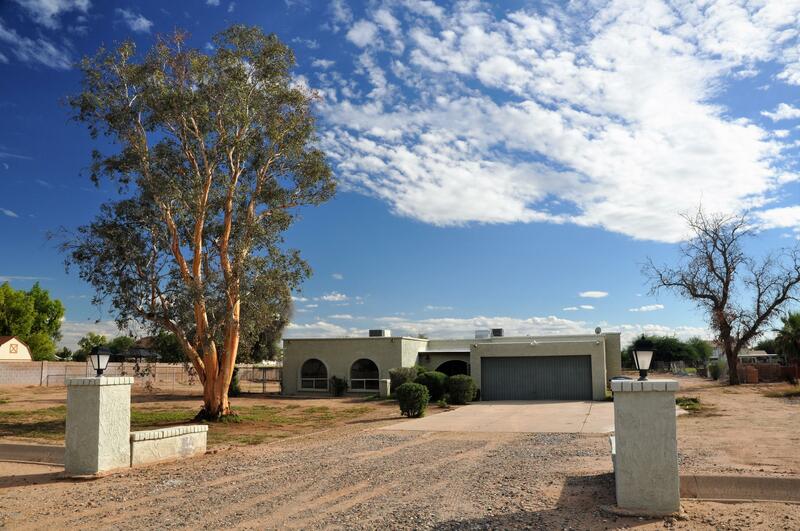 Welcome to your own private ranchette on a 1.09 acre north/south lot with NO HOA! Solid block home has remodeled kitchen & baths and large Sunset Point stone fireplace in family room. Kitchen has newer cabinets, appliances (double wall oven, cooktop, microwave, dishwasher), granite counter tops and HUGE pantry to stock provisions or Costco purchases. Upgrading lighting and ceiling fans throughout. Irrigation is available thru City of El Mirage. Great place to grow a garden and raise chickens & goats! Bring your horses, RV's, boats, trucks and....NO HOA!! !